Brome Lake Books is very pleased to be hosting a literary Lunch with the one and only Bill Richardson on Sunday November 9th, 12 p.m. at Le Relais Restaurant/Auberge Knowlton, 286 Knowlton Road, Knowlton. 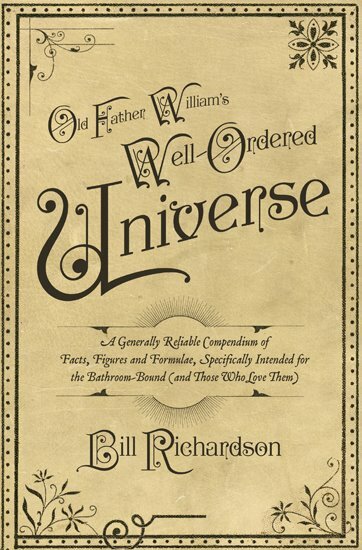 Bill Richardson will be speaking and signing his new book "Old Father Williams Well-Ordered Universe". 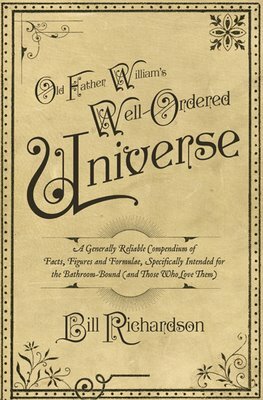 Bill Richardson well known Canadian columnist, writer, humorist and CBC Radio personality is the winner of the Stephen Leacock Medal for Humour and author of more than a dozen books has done it again with a hysterically funny collection of ramblings and wisdom's. Known for his quick wit and charm Mr. Richardson is crisscrossing the country on his book tour and we are lucky enough to be one of the few stops he is making in Quebec. Certainly and event not to be missed and a great opportunity to stock up on an original gift for the holiday's. Bill Richardson is a Canadian radio broadcaster and author. Richardson was born in Winnipeg, Manitoba in 1955 and received his B.A. from the University of Winnipeg in 1976. After spending a year in Montpellier, he moved to Vancouver, where he completed a Master of Library Science at the University of British Columbia. Richardson has been a broadcaster on CBC Radio One, beginning in 1992 as a regular contributor and guest host on Vicki Gabereau's show. When Gabereau left to host a television show on CTV, Richardson moved over to CBC Radio Two to host As You Like It, a classical music request show. In 1997 he returned to CBC Radio One to become host of Richardson's Roundup. He began hosting a new show, Bunny Watson, in 2004, and was replaced as host of The Roundup by Tetsuro Shigematsu. During the CBC staff lockout of 2005, he noted in the CBC Unplugged staff podcast that he has spent his entire time as a CBC host on contract, rather than as a permanent employee. CBC's labour troubles resulted in his return to the air via reruns of The Roundup. Richardson's book Bachelor Brothers' Bed and Breakfast won the Stephen Leacock Medal for Humour in 1994. He has moderated CBC's Canada Reads since 2003. He is also a frequent guest host on Sounds Like Canada, as well as the current host of Saturday Afternoon at the Opera. The menu - Soup of the Day, homemade vegetable quiche with salad, dessert, coffee. Thank you so much for including this event on your blog. We are very excited to have Bill Richardson down in Knowlton. I saw him this spring in Toronto. He was hosting a Book Expo event and he was so funny and charming that I'm really looking forward to his visit. We are picking him up in Montreal so we will be able to have a nice chat with him. Thanks so much for your support. I really enjoy page.